On account of the vital role played by Internet technologies in most businesses today, we continue to improve our understanding of the Internet’s role in business strategy. As a niche player in the Electronic Billing space, Striata is often approached to define the key differences between delivering documents via secure email and Internet Electronic Bill Presentment & Payment websites. The two offerings provide both overlapping and unique benefits, sometimes to different customer segments. The most comprehensive Internet bill offering is the process that makes use of a combination of the two methods. Historically, the emphasis has been on bill presentment websites. With the changing profile of online users, it is apparent that even those organisations with large bill presentment infrastructures, need to complement this process with an email offering; a secure one at that. This requires a fundamental shift in the organisation’s view of the value of email billing. Complementary, not opposing, strategies. The two strategies can best be differentiated by a “pull” versus “push” focus. From a customer’s perspective, visiting a company’s website to extract information can be described as a “pull” action. The customer needs to collect this information from the company’s website. The other method involves a “push” of information to a customer’s inbox, mobile phone or fax machine. The information is delivered to an interface or device on the customer’s side. The choice of strategy, and the emphasis placed on each, must be driven by the business objectives. An online billing strategy can be driven by a number of objectives; namely cost saving, improved customer service, the ability to transact in another channel and additional marketing opportunities. In order to assess this, it is necessary to understand the benefits and limitations of each method, and to construct a strategy that leverages the strengths of both. The primary benefit of web presentment is security. The owner of the site has complete control over the online billing environment, including where information is hosted and stored. Access to the online billing service is controlled through specific web authentication procedures. It follows that the pull method is appropriate for interactions requiring the highest level of security. Financial transactions, personal information, specific products, personalized offers or rates: interactions involving highly confidential information may best be managed through the web. Another advantage of the web method is the ability to keep extensive records online and enable customers to search and locate historical bills. Storage space is no longer an expensive resource, making it cost effective to store years of bills and associated documents. Email has become the digital communication channel of choice. Delivering bills by email means the bill arrives in the most frequently used application – the email inbox. The bill can be an exact replica of the bill the customer receives in the mail or it can provide additional customer service by harnessing the flexibility and interactivity of the email environment. There is no need to be connected to the Internet to view the eBill once the eBill has downloaded. This is particularly relevant for dial up users and travelers. The resulting email (with eBill attached) is less typically than 50kb, as high degrees of compression can be achieved. The eBill is easy to save in its encrypted format (for confidentiality) on a local computer for filing and future reference. Although, issues around identity theft, viruses and unsolicited email (spam) add significant challenge to communicating by email, the positive aspects cannot be ignored. It is critical to understand the key difference in consumer behavior between the push and pull methods. People will naturally gravitate towards the most energy-efficient process. Collecting a bill requires more effort on the part of the customer, making the ‘hassle’ factor higher for this method. This is multiplied when one considers that customers may have many suppliers publishing their billing on their own individual websites. Technology has created a push society. Consumers expect delivery. Television is pushed into our homes. Radio is pushed into our motor vehicles. The postal system has pushed mail to us our entire lives. Therefore, if you want the customer to engage with the business, delivery could be a more effective service than collection. Jupiter Research confirms that 96% of Internet users spend more time in their inbox than any other online activity. PSI Global reports that 69% of US customers choose email for the delivery of electronic invoices. Forrester Research found that 78% of consumers want invoices delivered into their inboxes. Because the two strategies are suited for different objectives, ideally they should co-exist as valuable partners in an online billing strategy. 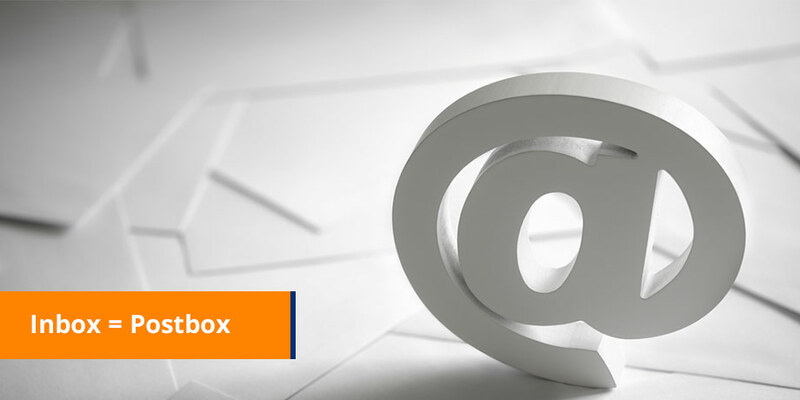 Email is best suited to encourage interaction with your customers. Notice for payment of a statement, information about a new product or just general communication, can be efficiently executed by email. Email communication can also be used as a lead-in to the website, encouraging the recipient to visit your site to make the actual payment, order the item or just read more about what you are doing. Push for incentivising the action, and pull to create the environment for it to take place. Only a combined approach can achieve a complete online strategy. Build your business strategy, ensure you understand the opportunities offered by different channels, build a comprehensive approach and then find the technology to fit into your requirements. The mantra of interactive commerce remains – insert your content into your customer’s daily activity. This holds especially true in the eBill environment, where the inbox really is the postbox of the 21st century.